“Our cooperation with Kongregate will give millions of players an opportunity to immerse themselves in the excitement of Goodgame Empire’s medieval world. Kongregate is one of the world’s leading gaming portals and this content integration represents another significant success in marketing our titles in the US market,” said Patrick Abrar, Chief Sales Officer at Goodgame Studios. “Goodgame Empire is a great addition to our platform. We’re proud to have found a partner in Goodgame Studios and delighted to include their highly successful title on our portal,” said Jim Greer, Chief Executive Officer from Kongregate. Goodgame Empire has been on the free-to-play market for two and a half years, during which time it has become Goodgame Studios’ most successful title ever. 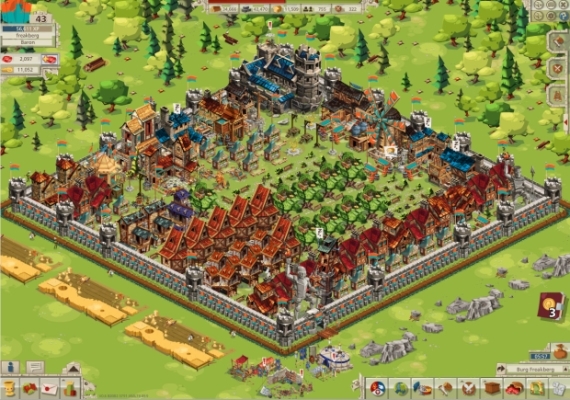 Players of the game get to create and manage their own castle, which they have to defend from attackers. They join forces in alliances and wage wars and military campaigns.